Peripheral artery disease (PAD) is a condition in which one or more of the arteries supplying blood to the legs, arms, head or abdomen become blocked or partially blocked, usually because of atherosclerosis. If the blood flow to the limbs is no longer sufficient to keep up with the demand, a person with PAD may experience symptoms. Plethysmography is another technique used for diagnosing PAD. With this test, air is pumped into a series of cuffs placed along the leg, and the pulse pressure of the artery beneath each cuff is estimated. 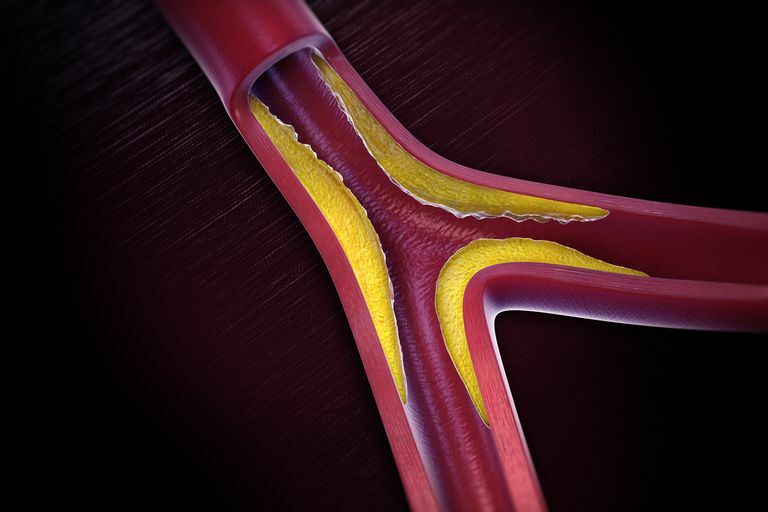 A blockage somewhere in the artery will result in a reduced pulse pressure beyond the area of blockage. While mild or moderate PAD can be treated with medication and lifestyle changes, more severe cases often require bypass surgery or angioplasty to relieve the blockages. Here are more details on the treatment of PAD. Hirsch, AT, Criqui, MH, Treat-Jacobson, D, et al. Peripheral arterial disease detection, awareness, and treatment in primary care. JAMA 2001; 286:1317. Hirsch, AT, Haskal, ZJ, Hertzer, NR, et al. ACC/AHA 2005 Practice Guidelines for the management of patients with peripheral arterial disease (lower extremity, renal, mesenteric, and abdominal aortic): a collaborative report from the American Association for Vascular Surgery/Society for Vascular Surgery, Society for Cardiovascular Angiography and Interventions, Society for Vascular Medicine and Biology, Society of Interventional Radiology, and the ACC/AHA Task Force on Practice Guidelines (Writing Committee to Develop Guidelines for the Management of Patients With Peripheral Arterial Disease): endorsed by the American Association of Cardiovascular and Pulmonary Rehabilitation; National Heart, Lung, and Blood Institute; Society for Vascular Nursing; TransAtlantic Inter-Society Consensus; and Vascular Disease Foundation. Circulation 2006; 113:e463.